We carry the complete line of Honda Power Equipment including all the Honda Generators. Give Steve a call at 1-866-520-5202 to learn more about the complete line of Honda Generators and Honda Inverters. Quiet and powerful we have the Honda Power Equipment to fit your needs. 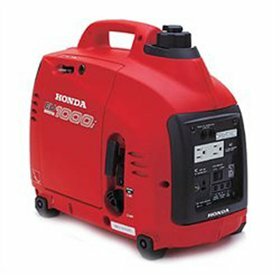 The Honda EU1000i Generator is a super quiet lightweight 1000 watt generator. Under 29 lbs it packs a lot of power in a smaller profile. Computer capable with a long run time and great for tailgating.